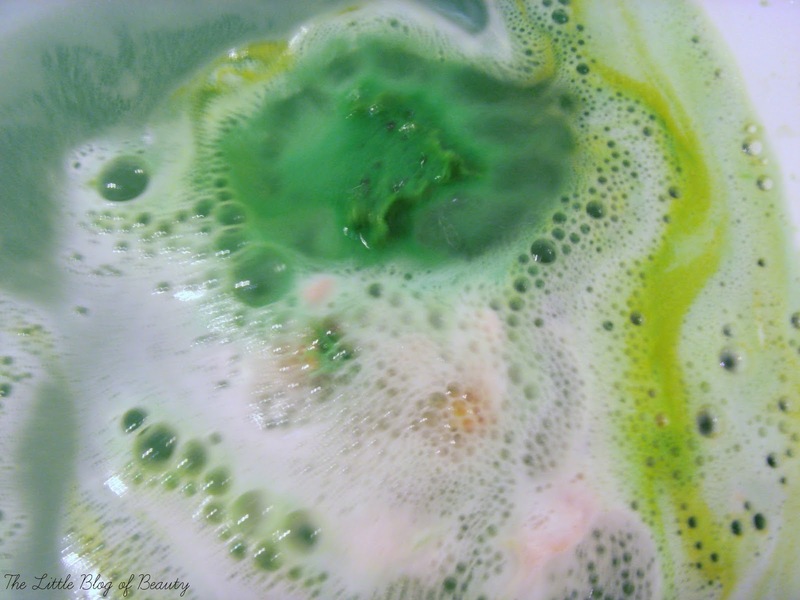 The last 8/9 days have been pretty awful and on Friday I had a very long day travelling to and from and working in London, so on Saturday I thought it was time to use another Lush Christmas bath bomb. I wasn't actually going to use this one next but as it was cracking around one side I thought I had better use it in case it decided to break. Unlike So white this one didn't drop straight to the bottom of the bath, it floated and moved around like a rather slow little power boat, and dissolved much more quickly than So white did. I was told that to begin with this turns your bath bright red but I didn't find this. I think it started off a pink colour like you can see on the outside of the bomb. However, very quickly it cracked open around the middle, maybe because mine was already cracked, and started to release a bright green colour, and I mean bright. It actually seemed a little more Halloween appropriate as it was a little freaky watching Father Christmas crack open and start releasing a kind of dark slime green colour! I could smell this as it was dissolving but once it had dissolved completely I couldn't smell it any more. This apparently smells like Snow fairy, but I didn't really recognise it. Although I'm not hugely familiar with the smell of Snow fairy having only had one bottle of the shower gel in the past, so I probably wouldn't automatically recognise it. 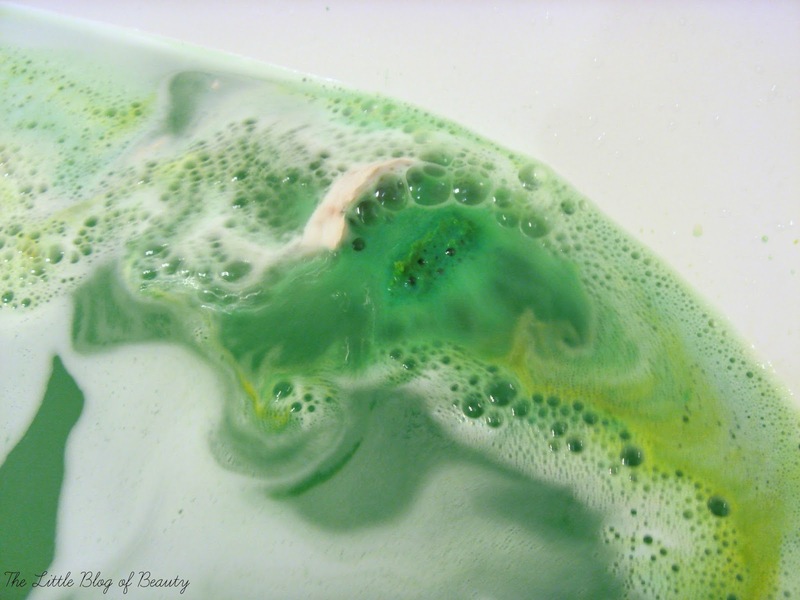 Like So white this just released a little bit of foam/bubbles that disappears once you get in and have a little slosh, so you're just left with a bright green bath. I did quite enjoy this one but I don't think I'd pay £3.50 for it. 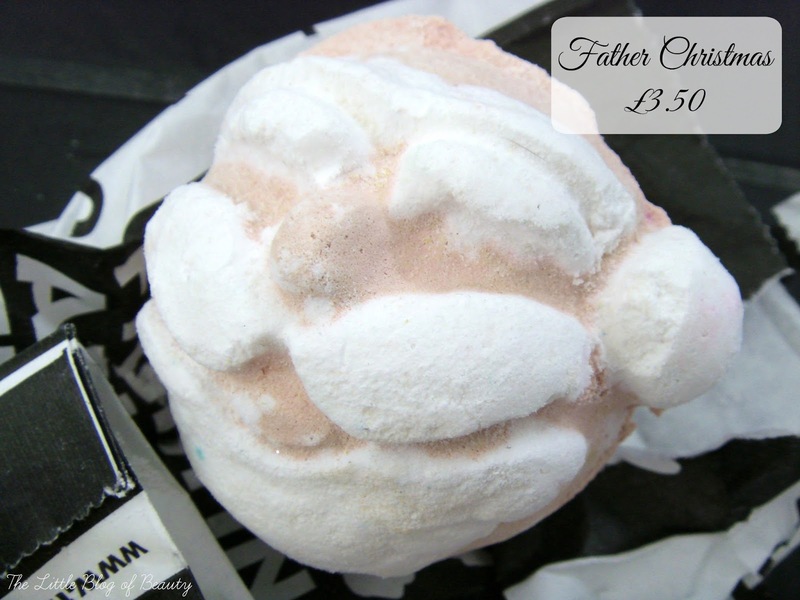 Have you tried Father Christmas? I actually don't even own a bath right now, which makes me always want them! 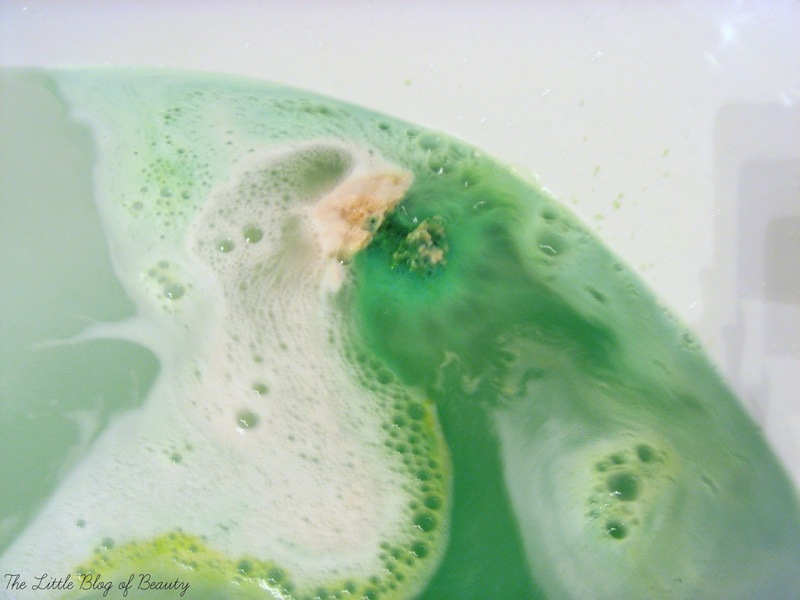 I don't know how I feel about having a bright green bath though! We have a huge bath, which is great, but there's no power behind the hot water so it takes forever to fill it! I was expecting a red and white bath for some reason! You are right, this is more Halloween and Zombie Santa! Sorry to hear that you've had a rough few days, hope things have improved now! Glad that Lush could cheer you up somewhat, I always find bubble baths so relaxing and soothing. I haven't picked anything up from the Christmas range yet but you've convinced me that I must - they make the best bath photos ever!